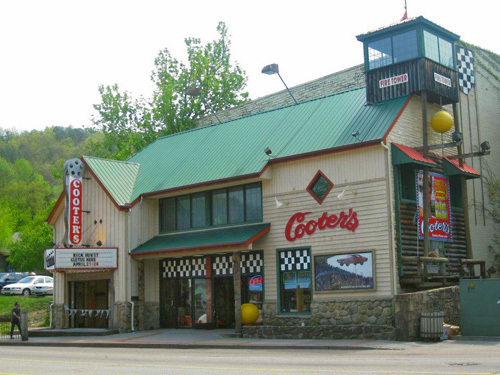 Located in Gatlinburg, Cooter's Place is a tribute to America's greatest family show, The Dukes of Hazzard! 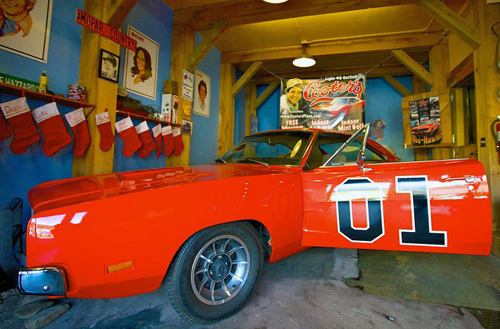 Visit the Dukes of Hazzard Museum & Shop and enjoy Cooter's fabulous collection of props, costumes, memorabilia, collectibles, and the famous 1969 Dodge Charger known as the General Lee! 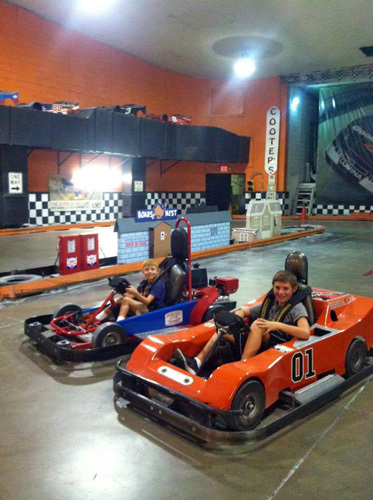 Play 18 holes of mini golf at the fine Hazzard Country Club with a trip down "The Dukes" memory lane! Tribute to The Dukes of Hazzard. Famous General Lee car on display. 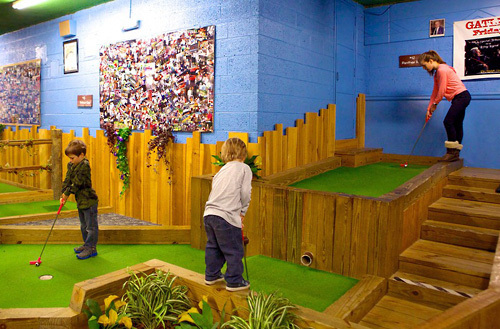 Indoor family fun center with mini-golf and go-karts. Located on Parkway in Gatlinburg. Next to Arrowmont School of Arts & Crafts. 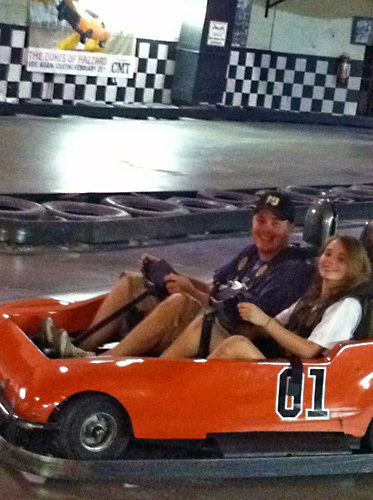 Visit Cooter's Place – a tribute to America's greatest family show, The Dukes of Hazzard! Y'all come on in and make yourselves at home in a little piece of Hazzard County right in the heart of downtown Gatlinburg. 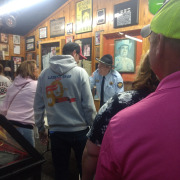 Visit our Dukes of Hazzard Museum & Shop, always free of charge, and enjoy Cooter's fabulous collection of props, costumes, memorabilia, hundreds of collectibles, and of course, the famous 1969 Dodge Charger known as the General Lee! Bring your camera and take home the perfect souvenir: in-car photos are available! Weather can't stop the fun at Cooter's family fun center! 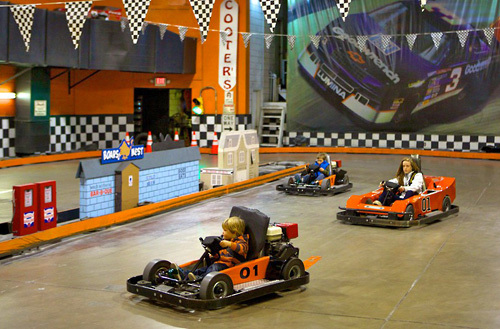 All indoors and under one roof you can take a ride around the track in Gatlinburg's only Go Karts on the Parkway! 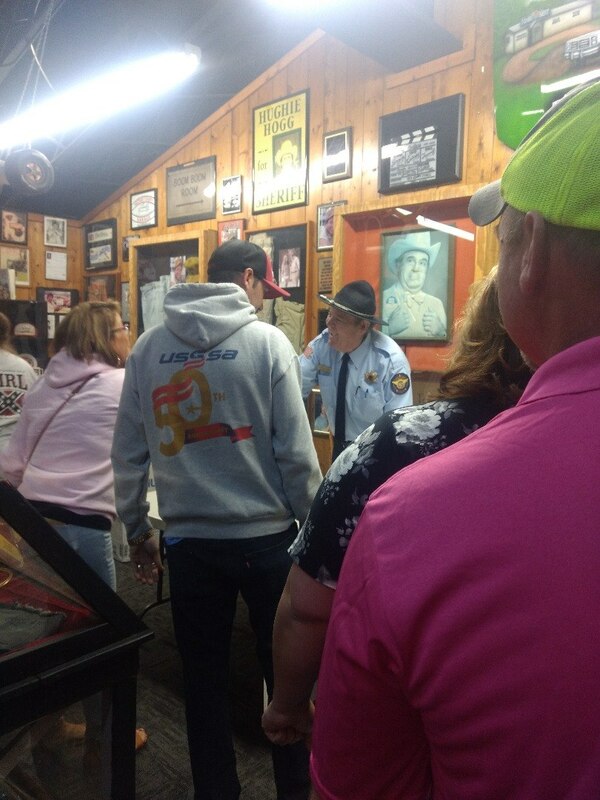 Also enjoy 18 holes of Mini Golf at the fine Hazzard Country Club with a trip down "The Dukes" memory lane. Regular appearances by Ben "Cooter" Jones and other cast members scheduled. Do I have to pay for a ticket to the museum? Admission to the museum is absolutely free. 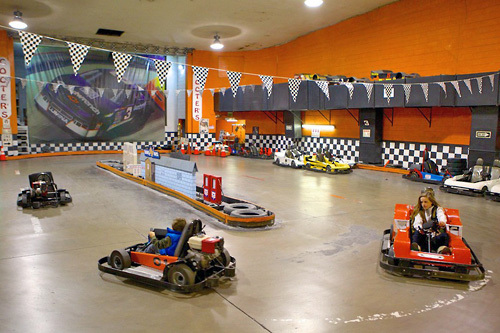 How tall must children be to drive or ride in the go-karts? To ride in an adult car, children must be at least 3 years old and 36 inches tall. Drivers must be a licensed adult. To drive an adult car, children must be at least 10 years old and 57 inches tall. To drive a rookie car, children must be at least 8 years old and 48 inches tall. To drive a kiddie car, children must be at least 5 years old and 36 inches tall. Where is Cooter’s Place located? 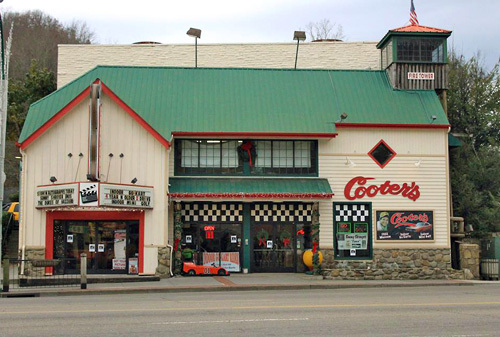 You can find Cooter’s Place at 542 Parkway, Gatlinburg, TN 37738. Schedule subject to change due to weather conditions or other outside factors.